Collection Information Please redeem your benefit at Macau Tower ticketing counter. Kindly have your iVenture Card present. Located on the southern tip of the Macau Peninsula, the Macau Tower Convention and Entertainment Centre is internationally recognised for a couple of things: the view, and the view! 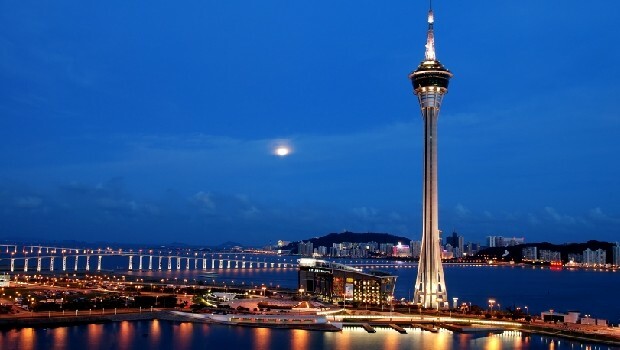 Standing at 338 metres tall, the Macau Tower Convention and Entertainment Centre was inspired by New Zealand’s Sky Tower and is the desired and preferred venue for major regional and trade events. From the moment you arrive, you get a sense of how important the tower is for Macau and how it represents Macau’s place in the world. You can soar up the glass-fronted elevator in an ear-popping 60 seconds and enjoy the view as the entire peninsula sprawls out below you. Truly magnificent, you won’t want to miss this. Surrounded by glass windows, the Observation Deck boasts a sensational 360 experience from 223m up. From this impressive height, you can see Macau in its entirety as well as Taipa, Coloane and parts of China. While here, look out for the Pearl River Delta skyline, Hengquin and Zhuhai. While visiting Macau Tower, you can take advantage of the Show and Save offers for iVenture Card holders for the AJ Hackett Bungy Jump, Skywalk, SkyJump and Tower Climb attractions. The Macau Tower Convention and Entertainment Centre is great to visit any day but weather can, of course, affect what you’re able to see. Check the weather forecast to plan your visit so you get the very most out of the view up there. If it’s an especially clear day you might want to consider visiting the Tower during sunset where the colours and blinking lights of the big city are startlingly attractive - and really very romantic if you’re looking for a date night location! In terms of amenities, there is a cafe at the top but you may want to consider bringing your own snacks as the cafe is not that big, but has good simple food and hot coffee.